I’ve decided to feature one homeless pet each week on my site in order to help find loving homes for these abandoned pets. This loving feline couldn’t get any more affectionate. As my husband and I were standing by the glass, this kitty was squishing his face against the window attempting to get petted. 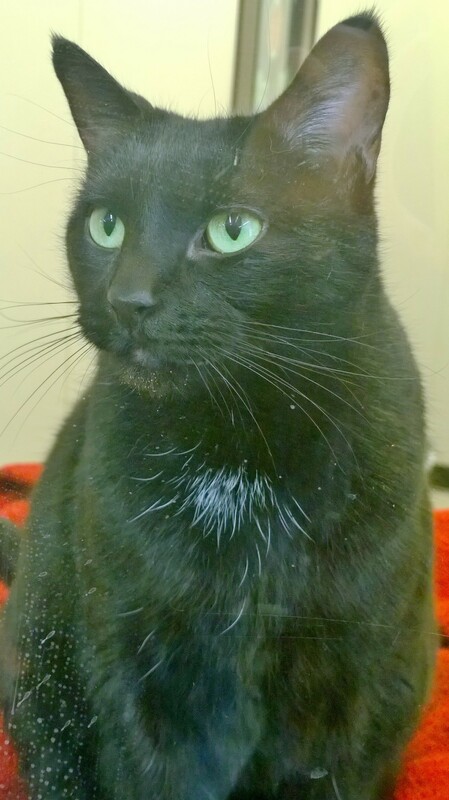 With stunning green eyes this cat would make a great addition to any home. You can find this kitty at the Bay County Animal Shelter located in Bay City, Mi. This pound pet is still looking for a forever home! He is looking very sad, more than before when I visited him this week. I hope someone can find room in their family for God’s loveable creature.